Romero Anton MontAlban Anderssen is the legal name written on my passport, driver’s license, and university degrees. I began researching my family tree in 1972, and 35 years later it has blossomed to over 2,200 ancestors, at least 958 of whom have different surnames. Originally, European people were known only by a single name. The process by which hereditary surnames were adopted in Europe is extremely interesting. Surnames evolved during the Middle Ages when people began to assume an extra name to avoid confusion and to further identify themselves. Often they adopted names that were derived from nicknames. Nickname surnames were derived from an eke-name, or added name. They usually reflected the physical characteristics or attributes of the first person that used the name. Every human has millions of ancestors whether he or she wants to believe it or not. In some cultures, people take the last name of their mother for their surname. 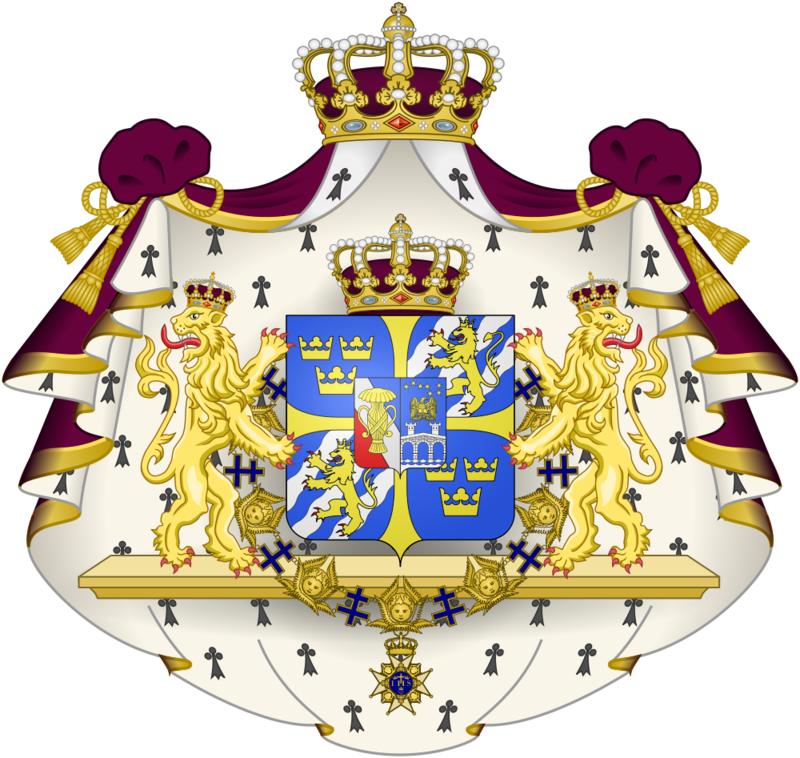 Scandinavians typically took the first name of their father and created a last name, as in Andersson or Johnsson, as was done in England when it was still a Scandinavian country ruled by Denmark (Johnson, Anderson, Davidson, Jackson, and so forth). In the US, it is currently fashionable to use only your father’s last name as your last name, ignoring your mother’s family name or any family name of any female from your millions of ancestors. I find that disrespectful to all of the people in my family tree that are not named Beasley (and all other spellings) of one particular male line which was never spelled that way in the first place. A name which originates in Aragon, has two meanings: pilgrim and rosemary. Rosemary, like many of my ancestors, is native to the Mediterranean. Rosemary is a magnificent plant with a long history; in fact, it is one of the oldest recorded herbs in history. References to rosemary were found written in cuneiform on stone tablets dating from the 5th millennium BC. Dioscorides, the 1st century Greek physician, recommended it for its "warming faculty"; ancient Greek students wore garlands of rosemary to improve their memory. The Latin name "Rosmarinus," means "dew of the sea"; it was so called because rosemary generally grows well by the Mediterranean seashore, and became associated in ancient Rome with Venus, the goddess of love, who was supposed to have sprung from the sea foam. Because of that legend, it became the symbol of fidelity in love and was used at weddings and funerals. It was once believed that someone could be made to fall in love by simply being touched on the finger with a sprig of this divine herb. Christians called rosemary the "Holy Herb" and associated it with Mary, who, according to Spanish legend, draped her cloak over a rosemary bush on the Holy Family’s flight to Egypt, turning the color of the blossoms from white to blue. 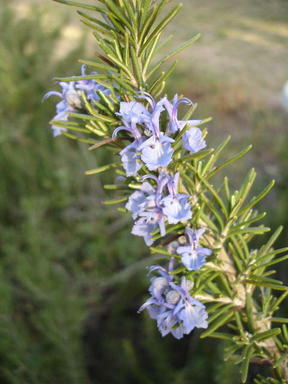 Rosemary produces pale blue, orchid-like flowers in early summer. The Spanish name for rosemary is romero, or pilgrim’s plant, and derives from this legend. From Sicily, too, comes a legend explaining why rosemary’s blossoms are blue. An old goddess, Circe, who caused violent volcanoes to erupt and plant to wither and die, once enchanted the inhabitants of Sicily so that they would throw themselves into the sea. One beautiful blue-eyed woman who held onto the cliffs was transformed into a rosemary bush to remind men of the ever-renewing power of good. I am the first person in my family to be born with blue eyes. St. Thomas More has been quoted as saying “I lett it runne all over my garde wall, not onlie because my bees love it, but because ‘tis the herb sacred to remembrance, and therefore to friendship …” Rosemary had been favored for use in wreaths worn by brides and also as part of bouquets they carried. In Shakespeare’s Hamlet, Ophelia says, "There’s rosemary, that’s for remembrance…"
A sprig of rosemary placed in a buttonhole is said to bring good luck and improve memory. In 1370, Princess Jeanne of Valois (Great Great Grand Daughter of Beatrice of Provence) wrote to her daughter Queen Philippa of Hainault, wife of Edward III, and included with the missive cuttings of rosemary. She instructed her daughter to place leaves of the rosemary under her husband's pillow, to ward off evil spirits, but warns the magic will not work if her husband is a sinner, for rosemary is "a holy tree." The belief that rosemary wards off evil was carried over into a belief that it could hold the Black Plague at bay, while in Spain it was regarded as proof against sorcery, and hung upon doors and windows to protect all who dwelt within. Hungary water (sometimes called "the Queen of Hungary's Water") historically was the first rosemary alcohol perfume formulated in Europe at the command of Elizabeth, Queen of Hungary. Hungary water first appeared outside of Hungary in 1370 when King Charles V of France, who was famous for his love of fragrances, received some. A pilgrim, one who visits a shrine. This nickname was originally applied to travelers from the western (Roman) empire who had to pass through the eastern (Byzantine) empire on their way to the holy land. According to the Instituto Genealógico e Histórico, the Romero surname originated principally in the Spanish areas of Galicia, Aragón, Valencia, Catalonia, Andalusia and Castile. I have ancestors in all those areas. My 29th Great Grandfather Robert the Magnificent, Duke of Normandy, father of William I "The Conqueror" King of England, made such a pilgrimage to Jerusalem. According to the Gesta Normannorum Ducum he travelled by way of Constantinople, reached Jerusalem, and died on the return journey at Nicaea on 2 July 1035. Romero is also of Latin origin, meaning pilgrim to Rome. During the middle ages, people walked from Canterbury, England, to Rome. 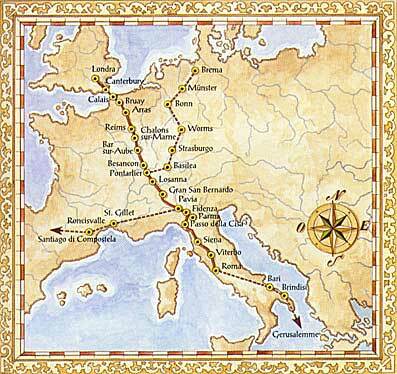 The route was known as the Via Francigena, and it took three months to traverse by foot. This was done for religious reasons, and Latin was the language of the church at that time. 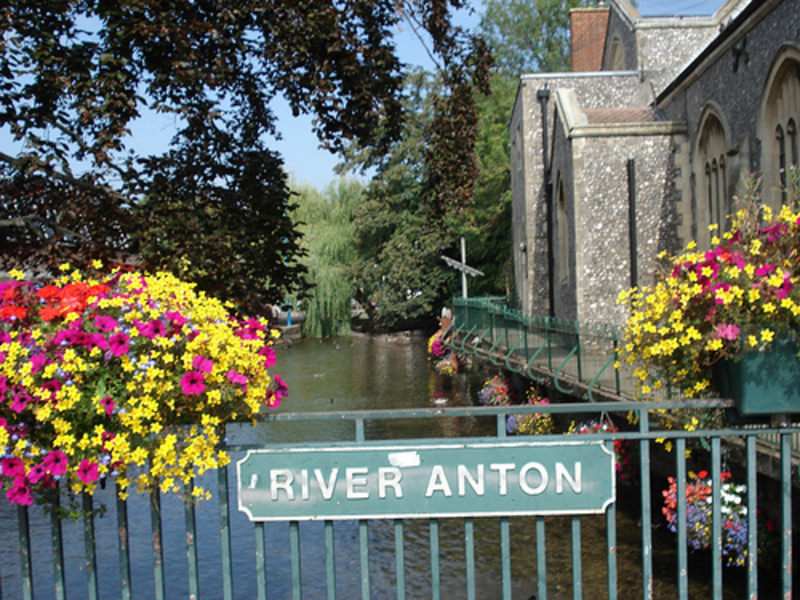 During the middle ages, people in and nearby Canterbury England would have known the word Romero, and about the route. My ancestor, Gospatrick 1st Earl of Dunbar, made a pilgrimage from England to Rome in 1061. Another ancestor, Margery De Badlesmere (1306-1363), the eldest sister and co-heir of Giles Baron Badlesmere of Leeds Castle, county of Kent, made a pilgrimage to Rome during the Jubilee of 1350. Other people in attendance at the Jubilee of 1350 were St. Birgitta of Sweden and the poet Petrarch. 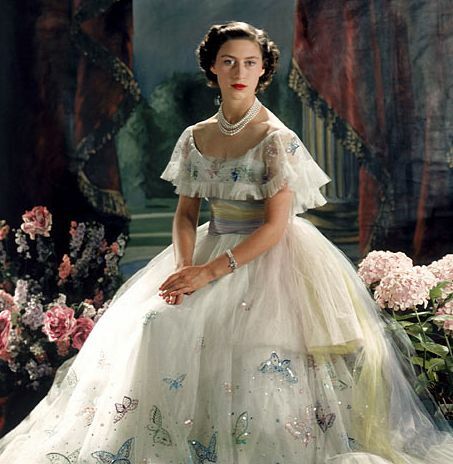 I was named after Antony Charles Robert Armstrong-Jones Earl of Snowdon (AKA Tony Armstrong Jones), the husband of Queen Elizabeth II’s sister, Princess Margaret Rose. Their wedding ceremony occurred a few hours before I was born. On the day I was born, May 7, 1960, their photos were on the front pages of newspapers all around the world. Antony The Earl of Snowdon (of Welsh heritage) received his Welsh title after marrying Princess Margaret. My direct ancestors, Princes of Aberffraw and Lords of Snowdon were the original princes of Wales. The most celebrated of the Lords of Snowdon was my 24th Great Grandather Llywelyn the Great, Prince of Wales. The great and ancient stone circle of Stonehenge is one of the ancient wonders of the world. 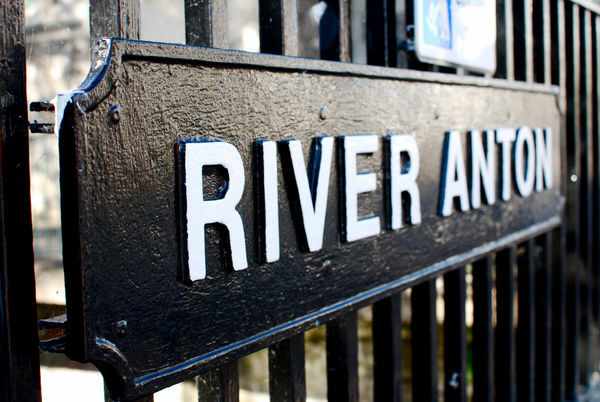 It is located 17.5 miles from the River Anton. Stonehenge and the surrounding areas, including the lands where the River Anton flowed, belonged to my 33rd Great Grandfather Æthelwulf King of Wessex. Montalban is the Occitan word for Montauban. The Church of Montauban (Montauban-de-Bretagne) was built in the eighth century in honor of St. Eloi's visit to my 38th Great Grandfather Saint Judicael ap Hoel King of Domnonia and a Breton high king. This king is one of the long line of Kings of Brittany, ancestors of Etienne, Count of Tréguier, Brittany and Lamballe (my 25th Great Grandfather). Mont Alban is also mountain in Nice, France, and at the summit is the medieval Fort du Mont Alban (also written Montalban). As the British royal family takes its family name from Windsor Castle, my surname MontAlban comes from MontAlban castle. 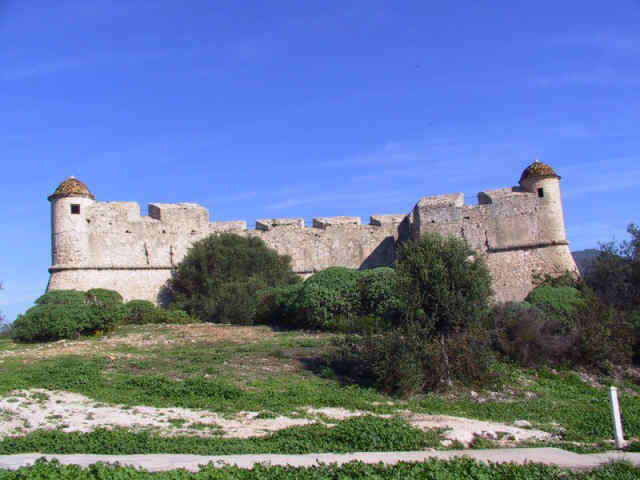 The castle has a unique history shared among many of my ancestors, including the Kings of France, Kings of Italy, The Counts of Provence, the Counts of Savoy, and the Emperors of the Holy Roman Empire. The first stone was laid on April 5, 1557. Alba is the Scottish Gaelic and Irish language name for the country of Scotland as well as similar words in the Brythonic Insular Celtic languages of Cornish (Alban) and Welsh (Yr Alban) also meaning Scotland. 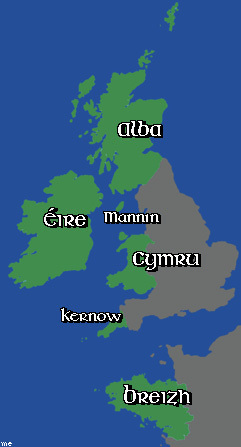 The word ultimately comes from a Celtic word referring to the whole island of Great Britain. Alban therefore reflects as a place name all of my ancestors from this area, most notably the Kings of England, Scotland, Ireland, and Princes of Wales. Alban-Albon-Aubyn is also the family name of two of my family lines, the Counts of Albon in France, and the St. Aubyn (Alban) Lords in Cornwall. 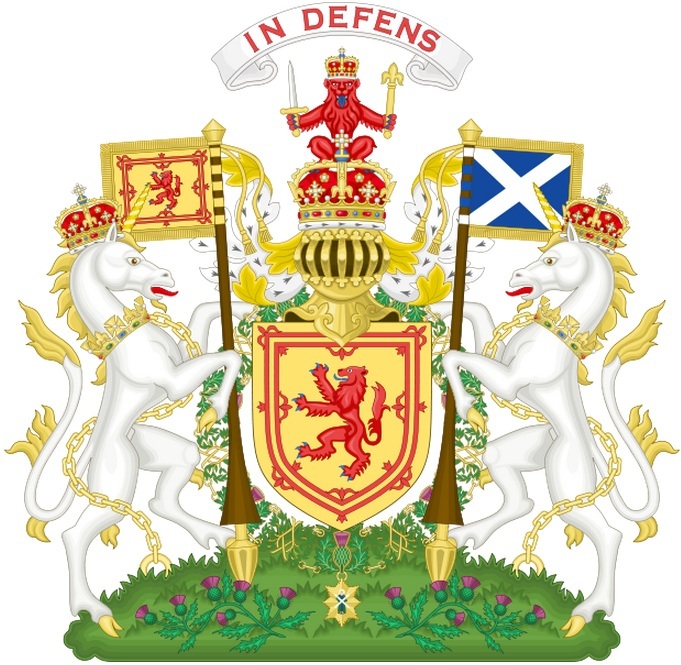 Our Scottish clan name MacVean (McIlvain, McBán, McBean [pronounced bane] McBheathain) is derived from King Donald III Bán (Donald The Fair) of Alba (Scotland), 2nd son of King Duncan I (killed by his cousin, Prince MacBeth). According to some people, the cognomen means "the son of the Ben" or mountain. The word MontAlban is probably the best word to pinpoint our Scottish family line. Anderssen comes from my 10th great grandfather, Anders Anderssen of Sweden. 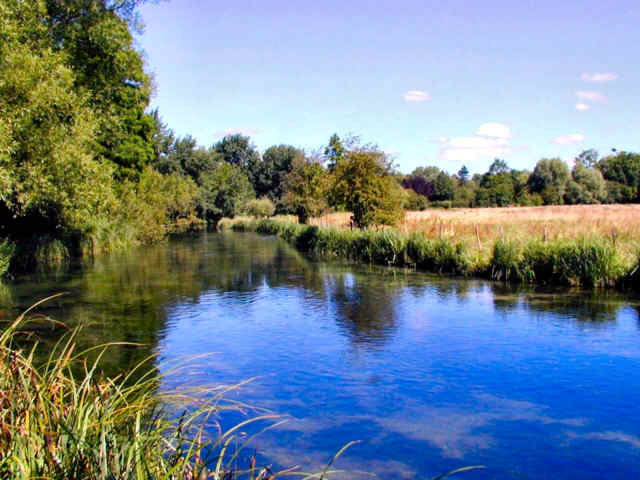 In 950 King Edred is recorded as having built a royal hunting lodge by the River Anton. In 962 King Edgar called a meeting of the Saxon 'parliament' (the Witenagemot) at his hunting lodge here.